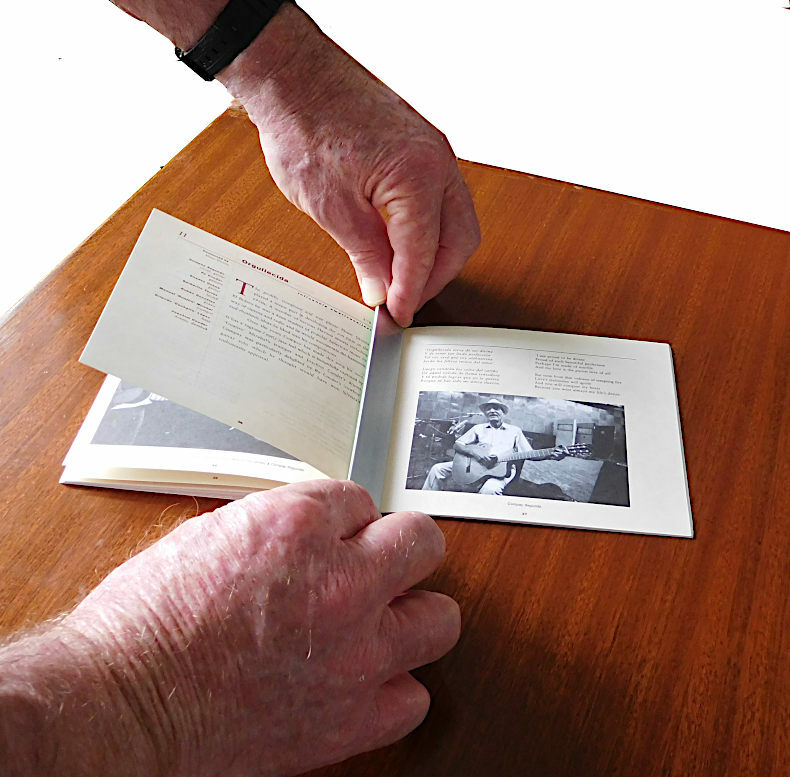 When you try to scan a thick booklet or a book you can often get the above ugly crease around the staples when you try to lay the booklet flat. Less than desirable, the question is how to remove the crease mark. While you can remove the crease after scanning this may not work so well if there is artwork close to the crease and it does add extra time and effort to the exercise, much better to scan it without the ugly crease in the first place. 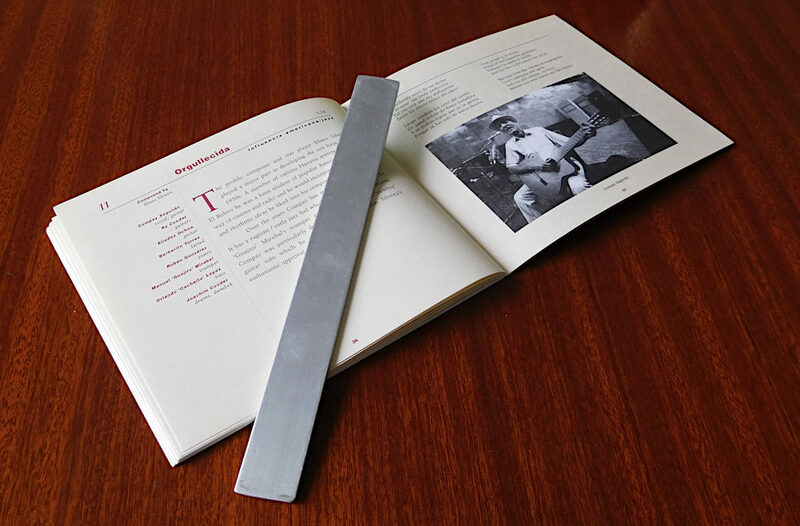 The solution I follow is to use a hard object, in my case a strip of aluminum, to fold the pages straight: The trick is to hold the straight edge, the aluminum or wood, as hard in the spine as you can and fold it as you keep it in the spine. Don’t then fold the booklet back, just do as little as you have to in order to get your scan done – we don’t want to damage the booklet.